Ms. Valk is a native of Kingsport, Tennessee. 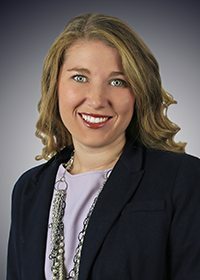 Ms. Valk recently graduated from the University of Tennessee College of Law, where she served as the Acquisitions Editor for Transactions: The Tennessee Journal of Business Law. During her third year of law school, Ms. Valk represented clients in both estate and conservatorship matters, as well as criminal and juvenile matters. Ms. Valk was awarded the Clinical Legal Education Association’s (CLEA) Outstanding Clinical Student Award. As an associate with the firm, Ms. Valk represents hospitals, physicians, nurses, and other health care providers in health care liability cases.